Alan Kyerematen Minister of Trade and Industry. 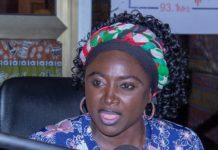 The Ministry of Trade and Industry has disclosed that an amount of Ghs2, 667, 215, 00 was raised at the recent Ghana Expatriate Business Awards held in Accra. The awards ceremony has generated massive controversy after it emerged that expats were asked to pay a whopping $100, 000 to sit by the President. 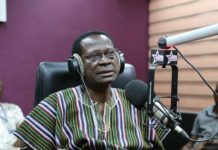 After several denials by the Trade and Industry Ministry and demands for the monies to be refunded to the expatriates by the Minority in parliament, the chairman of the Millennium Excellence Foundation – organisers of the event – Victor Gbeho confirmed that expatriate businesses were charged monies to sit close to the president. 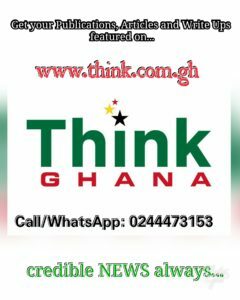 News of the charges has sparked public outrage with some Ghanaians including Prof. Gyampo calling for full scale probe into the development. The Minister of Information Mustapha Hamid on Thursday issued a statement stating that the Minister for Trade and Industry did nothing wrong. 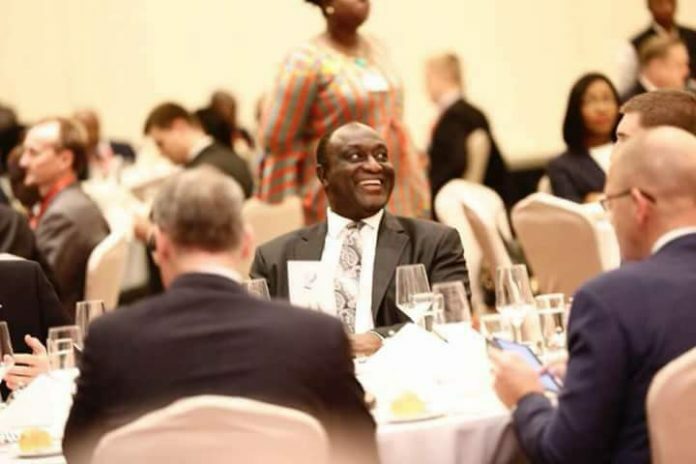 In a subsequent statement, the Trade Minister Alan Kyerematen disclosed that following the event, the Ministry in collaboration with the event organizers have audited the account for the event and can confirm that amount of Ghs2,667,215,00 was raised against an expenditure of Ghs2,367,426,06. It is acknowledged that the event organisers, as private sector commercial operators are entitled to a fair return for their efforts in organizing the event. The Trade Minister also stated that neither the President nor any official of the Presidency directly or indirectly, or even remotely was connected with the said event. My attention has been drawn to a raging public- debate on allegations of extortion of monies from Expatriate Business Owners in the run up to an Awards event recently organized in Accra. 1, Neither His Excellency, the President nor any official of the Presidency directly or indirectly, or even remotely was connected with the said event. The President was invited as a Special Guest of Honour and he graciously accepted the invitation and attended the event. 2. The management and organization of the event were initiated, directed and coordinated by the event organizers, the Millennium Excellence Foundation (MEF) and facilitated by the Ministry of Trade and Industry in line with its commitment to enhance Public-Private sector collaboration. 3. The structure, form, content and distribution of the Sponsorship package for the event are solely attributable to the event organizers, and the Ministry had no role in the design of the said package. For the avoidance of doubt, the letter signed by the Deputy Minister of Trade and Industry which has been sighted in the media had no link to the sponsorship package. 4. As part of arrangements towards the organization of the event, the Ministry of Trade and Industry insisted that all monies raised in support of the event be paid into an Account held by the Ministry to ensure financial integrity and accountability which the organizers agreed to. It is therefore difficult to imagine how a government institution seeking to extort monies from individuals would insist on issuing official receipts. 5. The organizers of the event were specifically instructed not to collect any monies to place persons/organizations on the Presidential High Table for the event, and they provided assurances that this will not happen. it is worth noting that all the business executives who were seated at the Presidential High table, who incidentally are Chief Executives of some of the top tier corporate entities in Ghana, already have direct access to the President and do not need to pay monies to interact with him. 6. Following the event, the Ministry in collaboration with the event organizers have audited the account for the event and can confirm that amount of Ghs2,667,215,00 was raised against an expenditure of Ghs2,367,426,06. It is acknowledged that the event organisers, as private sector commercial operators are entitled to a fair return for their efforts in organizing the event. However, it was also agreed with the organizers that a portion of the additional funds realized from the event in excess of expenditure, would be retained to support the organization of the next Awards event. 7. For the avoidance of doubt, none of the individual companies who sat on the Presidential High Table at the event made a contribution of $100,000.00 prior to the event as being alleged. Indeed, there were persons/companies seated at the Presidential High Table who did not make any monetary contribution before or after the event. 8. From the information available to the Ministry, there was no extortion Cr indication of extortion of monies from any expatriate business owner as being alleged. Indeed, no single individual has come out to make a claim of extortion. 9. It is also worth emphasizing that, the nomination and selection of the award winners was professionally managed by an International Audit firm, KPMG. 10, The event was a resounding success and Expatriate Business Executives who spoke at the event all paid glowing tribute to the commitment of the President to private sector development in Ghana, as well as the novelty and importance of the event. In conclusion, as the Sector Minister responsible for Trade and Industry, I will be pleased to interrogate any specific allegation in respect of any malfeasance that occurred in connection with the organization of the Ghana Expatriate Business Awards event.